“JUST AS ONE cannot separate the body from the soul while in the conditioned state, so the disciple cannot separate the spiritual master’s order from his very life.”-Srila Bhaktivinoda Thakura (a great spiritual master in the Krishna conscious line of disciplic succession). Many years ago, Srila Bhaktisiddhanta Sarasvati Gosvami Maharaja instructed His Divine Grace A.C. Bhaktivedanta Swami Prabhupada, his disciple, to spread the science of Krishna consciousness to the English-speaking people of the world. 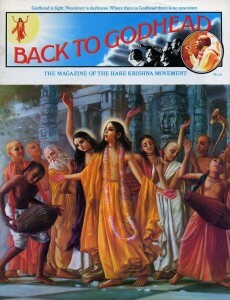 Srila Prabhupada has never forgotten his spiritual master’s request; indeed, he has made it the very center of his life, and, assisted by his disciples, he has now organized an ambitious publishing and book distribution program that every year sees hundreds of thousands of copies of Krishna conscious books distributed around the world. 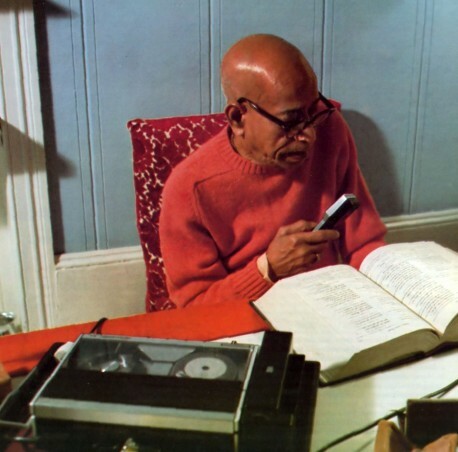 Daily, in the early morning hours, Srila Prabhupada translates and explains original Sanskrit and Bengali scriptures in the English language on a dictaphone. The tapes are sent to ISKCON Press in New York, where they are typed out, composed, and edited by Srila Prabhupada’s students. The duty of a surrendered soul is to make the desire of his spiritual master his own desire. For this reason the devotees at ISKCON Press enthusiastically accept the responsibility for publishing Prabhupada’s words. 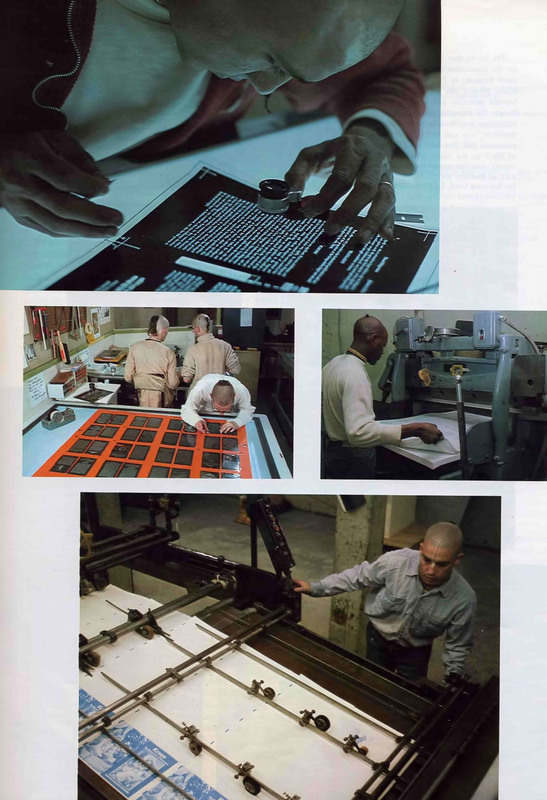 The artists at the press make “windows to the spiritual sky” with their illustrations for the books, and the photographers have complete facilities to portray the activities of the Lord’s servants here on earth. 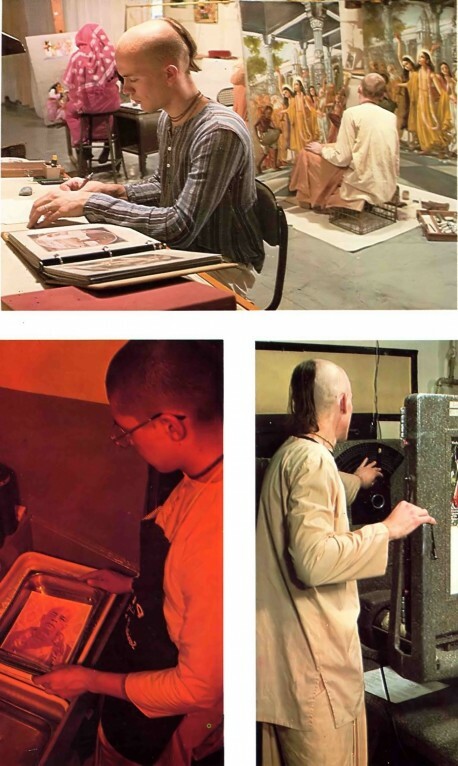 All the press operations, including shooting with a copy camera, designing, spotting, stripping, printing, cutting and binding, are carried out by the disciples, with the intention of pleasing the Supreme Personality of Godhead and His pure devotee, Srila Prabhupada. The books that ISKCON Press publishes are the foundation of the Hare Krishna movement because, as Prabhupada says, “These books present the perfect peace formula, beyond sectarian and national limitations. 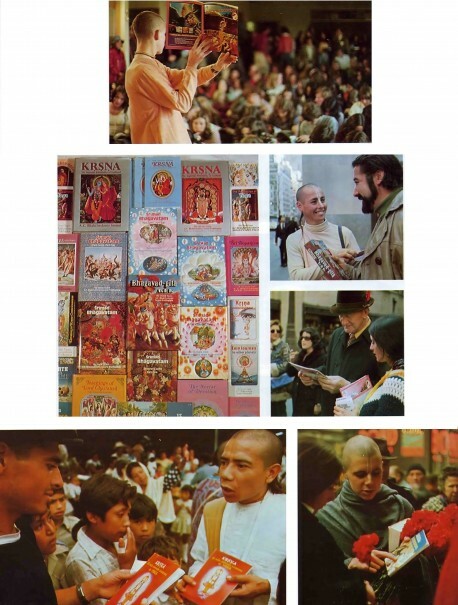 Simply by engaging in the process of self-realization described in such transcendental literature, one can transcend material consciousness and thus subdue all the problems of life.” In the major cities of more than twenty countries around the world, devotees, with all humility and respect, offer everyone the Supreme Lord, Sri Krishna, in book form. Visakha-devi dasi, a graduate of Rochester Institute of Technology, is a professional photographer and an expert on photomicrography, in which small objects are reproduced as magnified images. 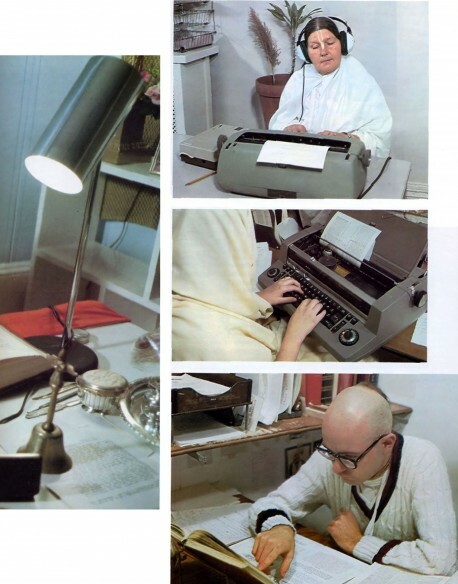 She first joined ISKCON while doing freelance work in India. She and her husband, also a professional photographer, are currently traveling around the world making documentary films about the Krishna consciousness movement.